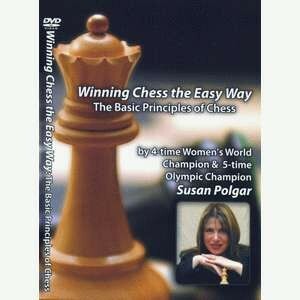 Susan Polgar will share with you her experiences she had with Bobby Fischer. Early in her chess career, Susan answers some of the questions everyone wants to know; like who would of won a Fischer Karpov match in 1975, the impact Fischer had on chess, what she learned from Bobby and how he compares with today's best. Susan will also take you through 5 highly instructive chess games, combinations and lessons.. So let one World Champion take you through another World Champion timeless masterpieces, which will certainly enhance your chess Knowledge and ability. In this game Bobby Fischer showed his versatility by playing a superb positional game. He exploited blacks weaken isolate d pawn; open files penetrated to the 7th rank and activated his King. This game further demonstrated that Bobby was not only a great tactical player but a great positional one also.